The company aims to reach these long-term aspirations and goals through continuous improvement. The company’s Management is committed to actively participate in the implementation of the Company’s Management System and to provide the necessary conditions to improve performance in the areas of health, safety and environmental protection at all levels throughout the company. The company promotes the concepts of health, safety, quality and environmental excellence and expects all employees from the top management to every seafarer serving on board to participate in the effort to achieve and sustain long-term improvements towards a state of excellence. To remain amongst the best tanker operators in the world. To increase the number of oil tankers under its management both in terms of size and type. 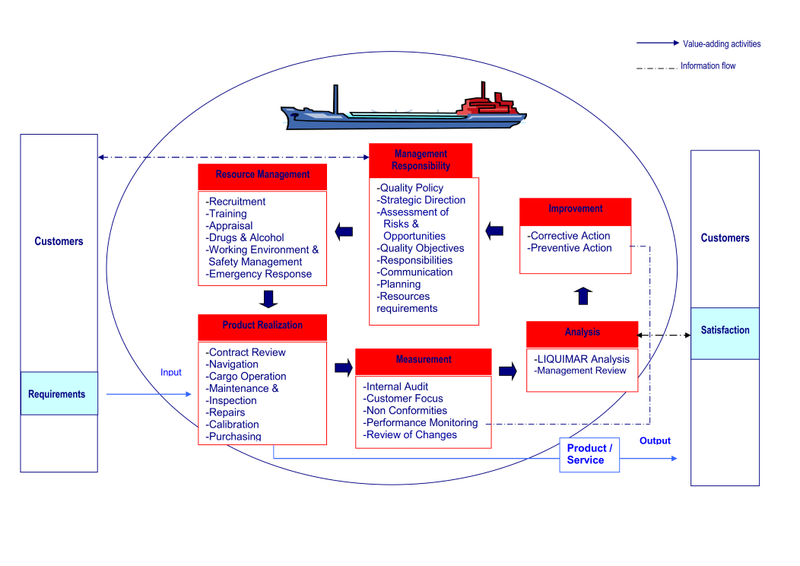 To extend activities in building, buying, trading of tank vessels in other sectors such as Chemical/LNG/LPG/FSO/FPSO. To provide to its clients a safe and quality oriented mode of transportation ensuring efficient oil transportation with highest applicable health, safety, quality and environmental standards. This mission is based on a clear and non negotiable commitment towards a cleaner marine environment and a safe and healthy working environment. This commitment prevails throughout the company’s management system, policies and standard operating practices. LIQUIMAR is committed to provide quality services which consistently and continuously meet the requirements of its customers whilst protecting assets under its care, its employment and the environment in general. LIQUIMAR is committed to implement an effective environmental management system and identify the environmental impact of the shipboard operations together with the relevant control mechanisms and evaluation methods set by the company. LIQUIMAR is committed to ensure that seafarers on board its ships are provided with occupational health protection and live, work and train in a safe and hygienic environment. It is the Company’s Policy to promote Health and Safety at Sea, Prevention of Human Injury or loss of life, welfare of employees and avoidance of any adverse impact on the environment (marine or otherwise), including property. This policy is communicated to all persons working for and on behalf and under the control of the organization with the intent that they are made aware of their individual health and safety obligations. Providing Safe Practices in ship Operation and a safe and healthy working environment. Preventing damage to the ship, her cargo and the environment. Assessing all identified risks to its ships, personnel and the environment, establishing safeguards against all identified risks and operating the ships within ALARP (“as low as reasonably practicable”) levels of risk. Preventing loss of human life and personal injury. Continuously improving Safety Management skills of personnel ashore and aboard ships, including preparing for emergencies related both to Safety & Environmental Protection. Implements a Shipboard Occupational Health and Safety Program (SOHSP). Continuously monitors all safety, pollution prevention and occupational health aspects of the managed fleet. Frequently inspects the managed fleet and carries out necessary maintenance and repairs. Has developed and implements a management system which is Safety and Pollution Prevention oriented. Provides a framework for setting & reviewing environmental & other objectives and targets and should be made available to the public and company’s customers, vendors and suppliers.